Anti-marijuana crusaders who have been watching Colorado in hopes that some new reefer madness crime wave would slow the momentum of the state's emerging marijuana tourism boom may be disappointed at new figures released by the Colorado Department of Public Safety. The crime figures for Denver for the first quarter of 2014, coinciding with the first quarter of legal marijuana, indicate that not only has the predicted reefer madness crime wave failed to materialize, but that crime in Denver has dropped substantially since the legalization of recreational marijuana. Those who have held back from traveling to Colorado in fear of the expected wave of crime and chaos, may want to consider resuming their plans to visit. The 1936 movie Reefer Madness portrayed marijuana as a dangerous, addictive drug that drove its users to crime and madness, a view that is giving way now in the wake of increasing mainstream acceptance of the plant for medicinal or recreational purposes. Homicides in Denver, Colorado’s biggest city, dropped from 17 in the period of January through April, 2013, to 8 in the same period in 2014, a drop of 53 percent. With this being the first quarter since the legalization of marijuana, any analysis of these trends must be tentative at this point. It’s hard to draw reliable conclusions from an isolated sample such as this. It is certainly not possible to establish that the legalization of marijuana caused the reduction in crime. But it is possible to say that the expected crime wave has not materialized; not yet anyway. And it is permissible to speculate and extrapolate on the figures. According to a report in the Huffington Post, New York City had 333 homicides for the entire year of 2013, which was a drop of 20 percent from the previous year’s record-low rate. If New York were able to knock 53 percent off that figure, it would theoretically save 167 lives. In Denver’s first quarter of 2014, sexual assault fell from 110 to 95, a 14 percent drop. Robberies dropped by 5 percent. Aggravated assault dropped by 4 percent. Burglary also dropped by 4 percent. Theft from automobile dropped substantially, by 46.3 percent. One category of crime in Denver increased. Arson more than doubled, from 20 incidents in first quarter 2013 to a whopping 47 in the same period in 2014. Those looking for a connection between arson figures and the legalization of marijuana may be hard pressed to come up with one. Could it be that instead of arson, these figures represent cases of stoners falling asleep while smoking? Colorado’s reduction in crime is also in line with a nationwide trend. According to the New York Times, Philadelphia, Chicago and Los Angeles also experienced drops in homicide rates in 2013, corresponding to Colorado’s record low in 2013. In the first quarter of 2014, Chicago saw its lowest homicide rate in 56 years. Pro-gun advocates are linking the reduction to Chicago’s new allowance of the carrying of concealed weapons after the state Supreme Court struck down a law banning the carrying of concealed weapons on the grounds that it violated the Second Amendment. In New York, murders dropped in the first quarter of 2014 by 18 percent, from 54 murders in first quarter 2013 to 44 in the same period in 2014. In New York the issue that is being tied to the statistics is Michael Bloomberg’s Stop and Frisk laws. Bloomberg said they made the city safer. According to that logic one might expect crime to rise when the city pulled back from 86,620 stop-and-frisks in first quarter 2012 to only 12,495 in the same period in 2014. That crime wave also failed to materialize. As of now there have been two deaths in Denver that have been linked to marijuana. One man is said to have jumped to his death after eating a large amount of marijuana in a cookie. In another case a man is said to have shot and killed his wife after eating marijuana candy. To draw meaning from those statistics, you would have to compare it to the number of suicides and murders that took place without marijuana, or with alcohol, with caffeine or with no drug. 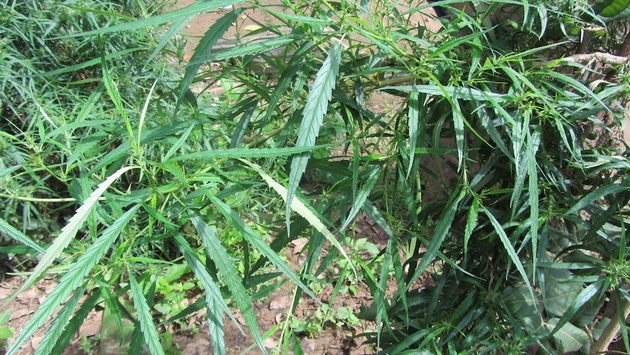 A study from the University of Texas at Dallas argues that legalization of marijuana may actually reduce crime. An important factor in that formulization is the proposition that substituting marijuana use for alcohol use may reduce the number of alcohol-related crimes. The study analyzed data from all 50 states between 1990 and 2006. California was the first state to legalize medical marijuana in 1996. Ten more states legalized it in the next decade and now the number is up to 20. Meanwhile, the FBI is reportedly now considering changing its hiring policies with regard to marijuana. According to the Wall Street Journal, as the agency tries to strengthen its anti-cyber crime force, it is having to face up to the fact that many of the brightest stars in computer programming and hacking techniques are marijuana smokers. If the FBI wants them on its side, it may have to relax its present ban on hiring anyone who has smoked marijuana in the last three years. The Colorado Symphony Orchestra may enhance Colorado’s attractiveness as a marijuana tourism destination by presenting a series of Classically Cannabis concerts sponsored by Edible Events, which bills itself as a cannabis event production company. The concerts, the first of which was May 23 and the last of which will be at Red Rocks Amphitheatre Sept. 13, are billed as fundraisers for the orchestra. The orchestra’s executive director Jerry Kern said it is trying to reach beyond its traditionally conservative demographic and to connect with “all of Colorado,” according to The Denver Post’s marijuana blog The Cannabist.